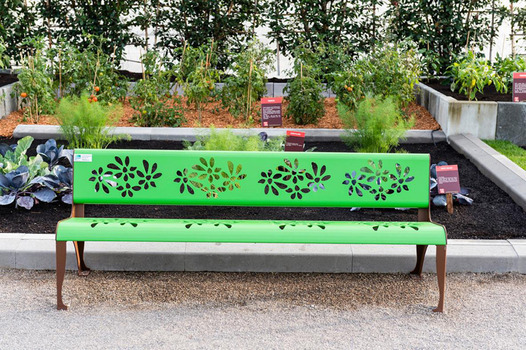 What trends are we seeing in street furniture? The renovation of public spaces is becoming increasingly important. Every square, every street, every park must help create a pleasant and friendly urban environment. We should also add that there is now a real desire to reinvest in city centres, to pedestrianise more areas, to promote cycling, etc. All this requires undertaking comprehensive renovations of urban spaces based on a positive principle: friendliness. 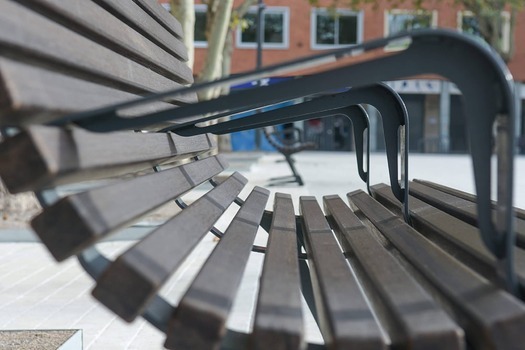 Let’s take a look at the new trends in street furniture. Building a playground for children and successfully renovating the space is fundamental. The role this future area will play in accommodating children in the best way possible is very important within a town. Children do not see the world in the same way as adults: in order to design a suitable playground, we must put ourselves in their shoes. Of course, this alone is not enough to successfully build a playground. 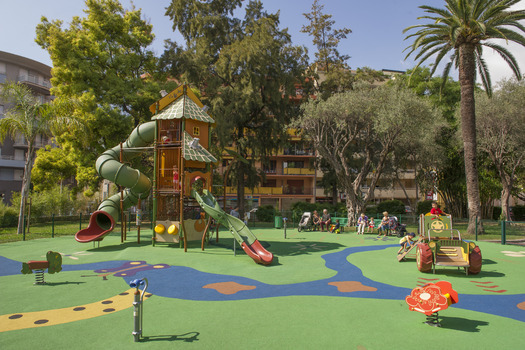 The choice of site, play structures, fun equipment, colours, seating areas and landscaping are other aspects that must be considered for a successful build. We’ll give you all the keys to successfully build your playground. The end-of-year holidays are fast approaching. It is a time when children are on holiday and inevitably, they need to be kept busy and offered fun and sporting activities. 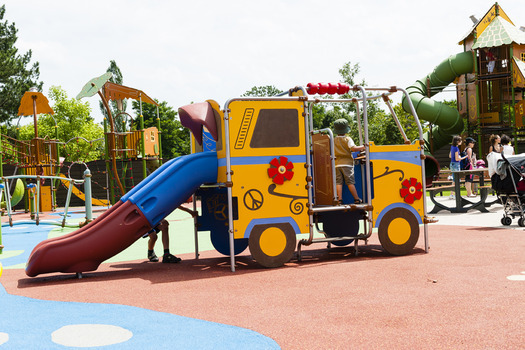 Playgrounds are ideal for fun and outdoor activities. 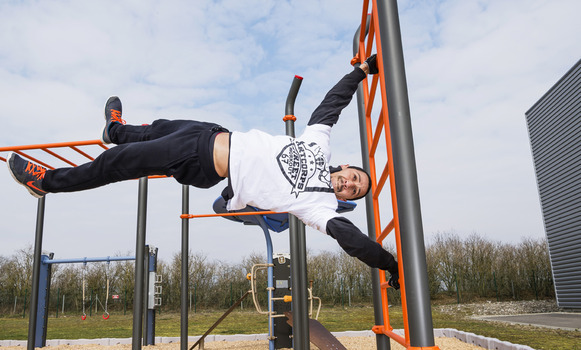 We’ll tell you all about the benefits of playgrounds. The Magic’color range is evolving: these are the brand new possibilities of the XS range, designed for toddlers. 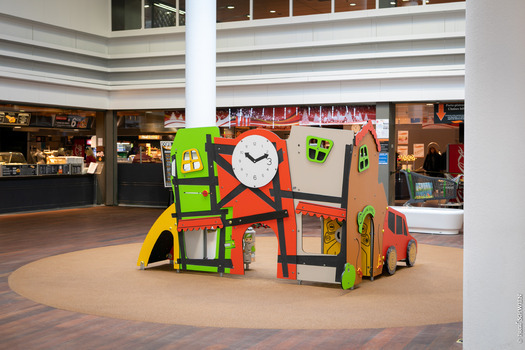 In order to optimise and make our range even more attractive and adapted to the activity of toddlers, Husson has developed new possibilities for play. These new games are designed for children from 2 to 5 years old, and some configurations are even adapted to even younger children, from 1 year old. You will find all new splendid products as well as superb installations made by Husson International. Sustainable development is a value that is particularly close to our hearts. Today, designing urban developments with ecological materials is a real social challenge. To significantly reduce the environmental impact of our street furniture, we have launched a new collection of benches, made from heat-treated bamboo. Focus on the advantages of this new ecological material that is reliable, resistant and attractive. Husson attended the GaLaBau Nuremberg trade fair in mid-September. An international trade fair for the renovation of urban and landscaped spaces, the GaLaBau is a top event in the sector. Visitors come in search of new equipment and ideas for leisure areas, but also to attend conferences and presentations. Baptised "City-stadium Color'ado" Husson multisport are having a field day. This is for good reason: they are spaces where young people often meet up. City-stadiums are thus living spaces where sports culture and social connections are the catchwords. 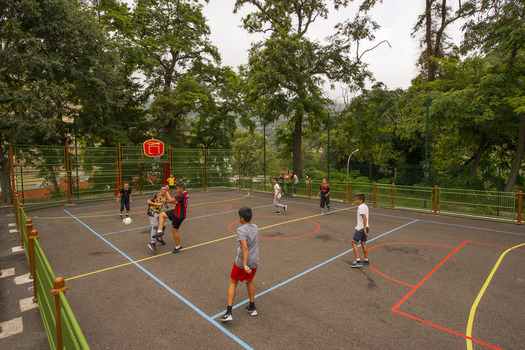 Sport is popular especially among young people. The good weather is back, we want to get FIT again. It is important for our body, for our spirit and for our daily motivation, to be FIT. It is important for our body, for our spirit and for our daily motivation. But social networks also have a role to play in the sporting activity we take part in. Public spaces evolve and change: the same goes for street furniture. 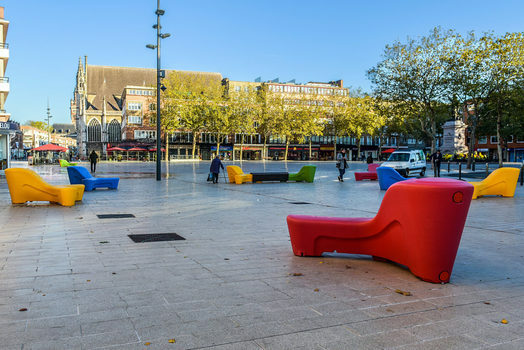 Users' and residents' expectations change: street furniture becomes an issue for cities and local authorities. Cities now have to provide the population with an ever more pleasant experience in the urban space, and also make these spaces attractive and appealing. 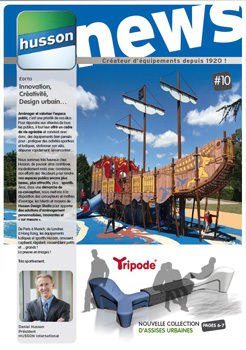 Focus on innovative equipment that changes public spaces.